Kanybek Bekmurzaev, 32, has a goal this winter. Home from Moscow to visit his elderly mother in southern Kyrgyzstan, he’s using the time to memorize irregular Russian verbs. New legislation requiring the millions of Central Asian migrant laborers in Russia to speak Russian is worrying Bekmurzaev. As his family’s main breadwinner – for three years, he’s worked as a bus driver in Moscow – he knows he had better learn the language. It’s a task that’s not so easy to accomplish. As a young man growing up in post-Soviet Kyrgyzstan, he never had the opportunity to learn the language properly, unlike members of his mother’s generation. “My boss told me and other drivers who don’t speak Russian well that without good Russian we might lose our jobs,” said Bekmurzaev, who returns to his hamlet of Karatai, near Osh, each December for a month or two. Under Kyrgyzstan’s Constitution, both Russian and Kyrgyz enjoy the status of official languages. But the use of Russian is fading. Since independence in 1991, the quality of education has fallen dramatically. In the post-Soviet era, schools no longer place as much emphasis on the language. In addition, over half a million native Russian speakers – ethnic Russians, Kyrgyz and others, among them the country’s most educated – have left. All the while, Kyrgyzstan’s economy has been in free-fall. 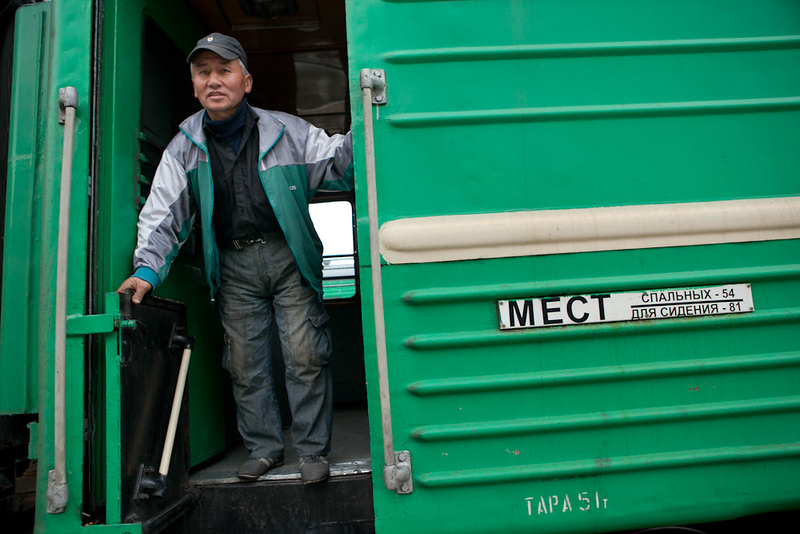 No one knows for sure, but perhaps 800,000 people, or 30 percent of Kyrgyzstan’s able-bodied population, work abroad. Many are seasonal workers like Bekmurzaev; most go to Russia. Their remittances, according to the World Bank, total the equivalent of 30 percent of Kyrgyzstan’s GDP. But when migrants arrive in cities like Moscow, Novosibirsk and St. Petersburg, they realize that Kyrgyzstan’s dilapidated schools have failed to deliver a needed skill: the ability to speak Russian. Bekmurzaev, who has three children and a wife in Karatai, says that in Kyrgyzstan “it is difficult to find a job good enough to feed my family.” Bekmurzaev hopes one day to move his family permanently to Moscow. On December 1, the Russian Federation began requiring labor migrants working in service industries – shopkeepers, plumbers, and street cleaners, for example – to pass a Russian language test to receive work permits. With poverty increasing about 3 percent a year, ongoing political turbulence, and little hope for Kyrgyzstan’s moribund economy, few believe the exodus will slow. Meanwhile, the Kyrgyz parliament’s efforts to enforce the use of the Kyrgyz language at the expense of Russian are viewed by many as counterproductive because it does not equip young Kyrgyz for potentially working in Russia. In recent years, for example, Russian-speaking ethnic Kyrgyz MPs have been harassed and publicly shamed by their colleagues for not speaking Kyrgyz. Russian speakers, ethnic Kyrgyz and Russians alike, say the efforts to discourage the use of Russian threatens to leave Kyrgyzstan isolated. Sadikov says that students pay 3,000 soms (about $63) for a three-month course. “Our customers have three lessons a week, and they learn not only to speak, but also to read and write in Russian. Their main motivation is to find employment in Russia,” he said. Even on the streets of Bishkek, once a predominantly Russian-speaking city, Russian is heard far less today than it was even three years ago. Migrants from rural areas often do not speak the language at all. “One of the reasons why use of the Russian language has declined is mass migration, when Russian speakers started leaving the country at the beginning of the ‘90s,” Igor Shestakov, an analyst in Bishkek, told EurasiaNet.org. According to government statistics, there were 916,500 ethnic Russians in the country in 1989, comprising 21.5 percent of the population at the time. By 2012, the number had fallen to 381,561, or 6.9 percent of the population. “Another factor is reduction in Russian language teaching at schools and universities, lack of qualified teachers, teaching materials and books,” Shestakov said.